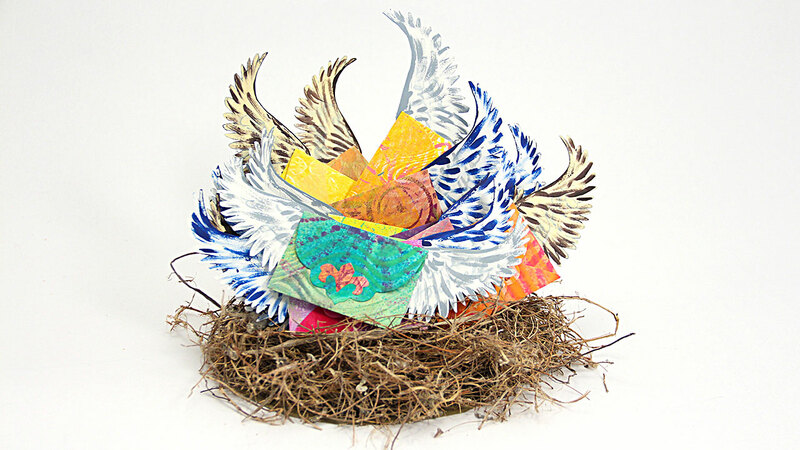 Taking inspiration from Adventures in Mixed Media, Barb creates her version of Susanna Gordon’s Winged Messengers with Paste Paper die cut envelopes and embellished card stock wings. Making small pieces of art to leave in unexpected places to encourage someone is just plain fun! Be sure to tweet photos @BarbOwenDesigns. I'd love to see them and share with others. Please join me each Friday at 2pm eastern for my weekly live broadcast. The Sponsors want to meet YOU! Remember, Get Creative today. It's Easy!